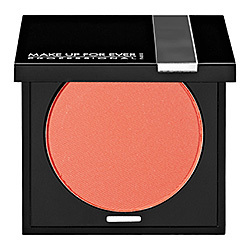 The unique texture of MAKE UP FOR EVER Eyeshadow is due to its high pigment density, which makes them last and last. 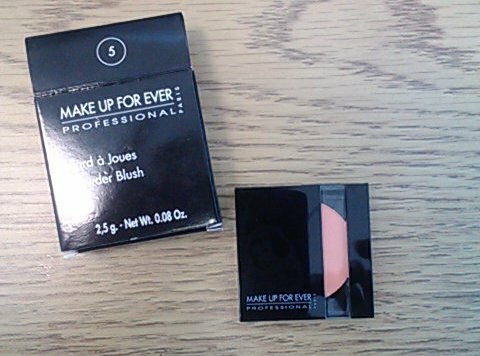 You can obtain maximum coverage with the Matte texture; the Semi-Matte has a silky satiny feel; and the iridescent shades give a transparent sheen. Dany's Tip "If you have dark skin, try applying a light-colored shadow over the entire lid first before applying a darker color, for luminous highlights." 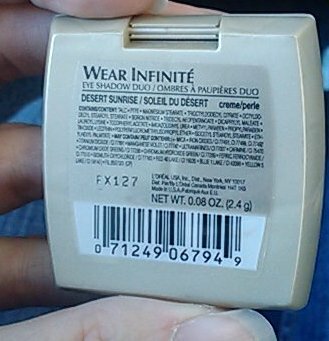 The color in life is true to the image from Sephora.com (at very top). My lighting makes the color in the pan look much paler and pinker than reality. When I first swatched it out in Sephora, it came out of the pan powdery and very dry. Had I not paid attention when I was removing the color from my finger, I would have passed it up. As soon as the liquid hit it, it warmed up, and the overly-powdered look disappeared. 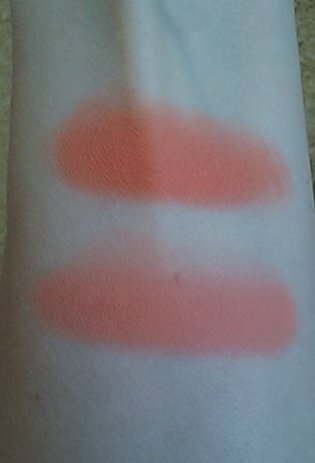 I re-swatched, and this time rubbed it into my skin; the color deepened, and it almost looked luminescent, even though there is no shimmer at all. When I swatched it with a primer, the color brightened, as well as deepened. This color is a chameleon! There are three distinct looks you can get, depending on whether you apply it dry, wet, or with primer. 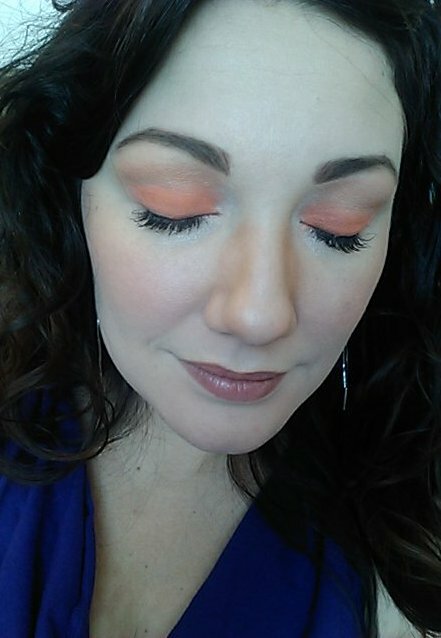 To get this look, I applied Orange Coral Matte 5 all over my lid. Then I applied L'Oreal Wear Infinite Eyeshadow Duo Desert Sunrise, using the light coppery-gold, shimmery shade, from the crease to the browbone, and lightly blended the seams. 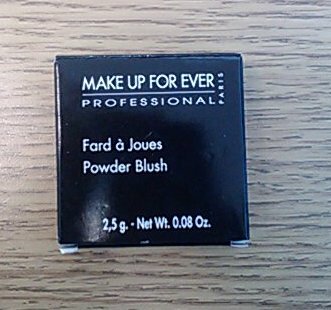 I'm pretty sure that is a discontinued color, but a similar shimmery color will work just fine. 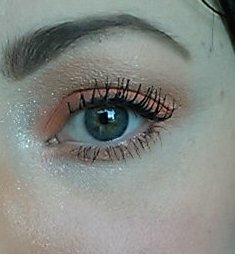 I love orange eyeshadows. The color brightens the eye area, helps counter dark undereyes, and basically makes me look more awake. 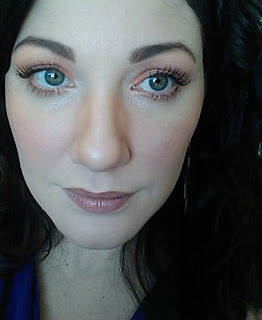 Orange also plays up blue and green colored eyes. It can be scary to put on orange for the first time, but I'm so glad I tried it! I like to keep the brighter oranges just on the lid. Then I just get the flutter of color when I look down or blink, and it makes it more subtle for daytime. What about you? 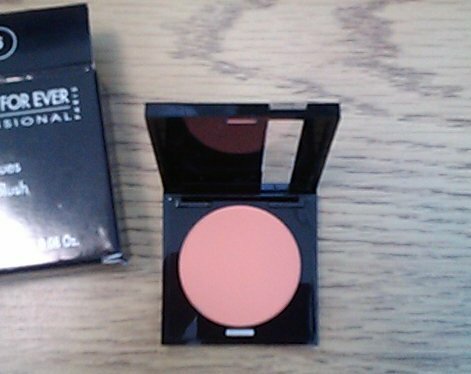 Do you have any orange shadows you love?